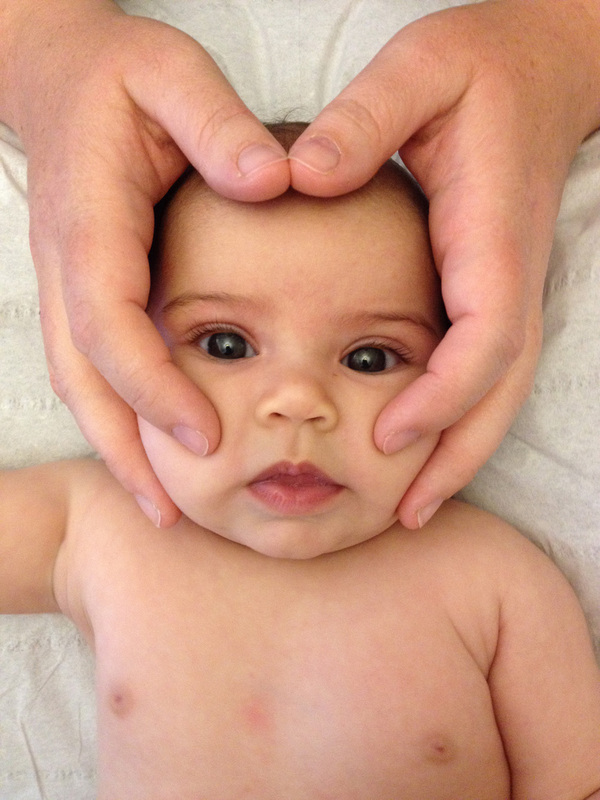 Cranial Osteopathy or Craniosacral Therapy for my Baby? Many articles on popular breastfeeding websites refer to cranial work or ‘hands-on’ therapies as a way to help certain sucking problems in a breastfed baby. See Does Cranial Therapy Work? for a review of how these therapies may help. Cranial osteopathy and craniosacral therapy are two possible treatments said to be helpful and there are other forms of physical therapy, but which treatment is best for breastfeeding? Dee Kassing IBCLC suggests that any of several therapies may be useful but the key is to finding a therapist who is very experienced working with babies. In recent years, there have been frequent references to CranioSacral Therapy and other bodywork for infants who are having difficulty breastfeeding. Any of the methods might be helpful to a baby. When choosing a therapist, who could be a certified massage therapist, a physical therapist, a chiropractor, an osteopath, etc., be sure to ask how much training and experience in working with infants the therapist has had. Some chiropractors are also accredited in pediatric chiropractic. This is a different type of bodywork, but can also be very helpful to infants. Adult chiropractic applied to babies would be dangerous, so again it is necessary to ask about the chiropractor’s training and experience. Cranial osteopathy is a specialised form of osteopathy that is used throughout the body not just the head. Craniosacral therapy stems from cranial osteopathy but works on the ‘craniosacral system’. The craniosacral system is said to comprise of the membranes and fluids that surround the brain and spinal cord. The professional associations for cranial osteopathy and craniosacral therapy are named after their developers Dr William Sutherland and Dr John Upledger respectively and excerpts from their websites say the following:. CST is a gentle, hands-on method of evaluating and enhancing the functioning of a physiological body system called the craniosacral system—comprised of the membranes and cerebrospinal fluid that surround and protect the brain and spinal cord. A cranial osteopath has to qualify as an osteopath first whereas a craniosacral therapist may not be an osteopath. A cranial osteopath will train for a four year full time or five year part time degree to initially become an osteopath then post graduate training to become a cranial osteopath. Post graduate training for the cranial osteopathic approach is through the Sutherland Cranial College of Osteopathy (SCCO). A member will have completed two or more modules, a fellow will have completed all of the modules. When might these therapies be helpful to babies? There are 22 bones in the infant skull which are designed to move over each other to allow for squeezing down the birth canal. After birth, yawning, sucking and crying help to move the cranial bones back into position and the bones will fuse (become fixed) later over time. Sometimes however, yawning, sucking and crying may not completely put everything back in place, perhaps the birth was very traumatic or forceps or ventouse were used. If any of the bones, nerves and muscles are out of line, tense or trapped this could affect the way a baby can use his mouth, jaw and tongue to latch and suckle correctly, he may feel uncomfortable and tense and physical therapies may be useful to free any tension. For further discussion of how cranial work or other bodywork is though to help in these situations, see Does Cranial Therapy Work? Does cranial osteopathy have a scientific basis? Is it safe? There is currently insufficient research evidence related to adverse events and manual therapy. However, clinical studies and systematic reviews from adult patients undergoing manual therapy, particularly spinal manipulation report that mild to moderate adverse events are common and self limiting. However serious adverse events are rare and much less than for medication commonly prescribed for these problems. More high quality research specifically addressing adverse events and pediatric manual therapy is needed. If you are considering trying a physical therapy is very important to find a fully qualified, reputable practitioner who has been recommended to you, is a member of their professional association and is very experienced working with breastfed babies. Cranial therapists and some tongue tie practitioners often claim that cranial therapies can help with tongue function or other physical breastfeeding issues. Although there is very little scientific evidence supporting the use of cranial techniques, some parents feel these therapies are helpful. Training requirements for cranial osteopathy are higher than for craniosacral therapy. It is important to choose a specialist who is experienced working with babies and comes with recommendations and references. There can be many causes and solutions of breastfeeding difficulties and most will not require physical therapy—for a thorough breastfeeding assessment contact an IBCLC lactation consultant and if you have any concerns about your baby’s physical health contact your doctor for advice.